I need a new ‘glad bag’ that mobile vessel in which we Jamaicans store our joy, because on Tuesday December 17, 2013, when Tessanne was declared the winner of The Voice (Season 5) my old glad bag exploded, shattering into pieces to small they could never be put back together again. Since her first arrival on the Voice stage in September, I had felt a personal investment in her success that surprised me and I was hard-pressed to explain. While I have long been a fan of her work the level of elation I felt during that initial performance floored me. Jamaicans are constantly in search of new cartographers, talents that shine so bright they can put us on the world map, keeping us from the ignominy of being from “the islands mon”, a space many tourists have been, to but we Caribbean people do not inhabit. So Tessanne’s rise allowed us to once again thump well-puffed chests with pride and declare, ‘Yeah man, Tessanne put we pon di map!”. Saying yes, despite the sliding dollar, the shenanigans of our wayward politicians, the continued need for burglar bars, another Jamaican has made us larger than our geographic boundaries. She had ended ‘Bridge Over Troubled Waters’ with a note that could have powered Superman’s journey around the world the reverse time, and delivered a magical rendition of Whitney Houston’s ‘I Have Nothing’ that is sure to be rinsed in Jamaican Dancehalls for years to come because every good ‘gun chune’ deserves and even better love song. Of course, by now some politician and or civil servant is running about doing the headless chicken dance, asking “So what about Brand Jamaica? 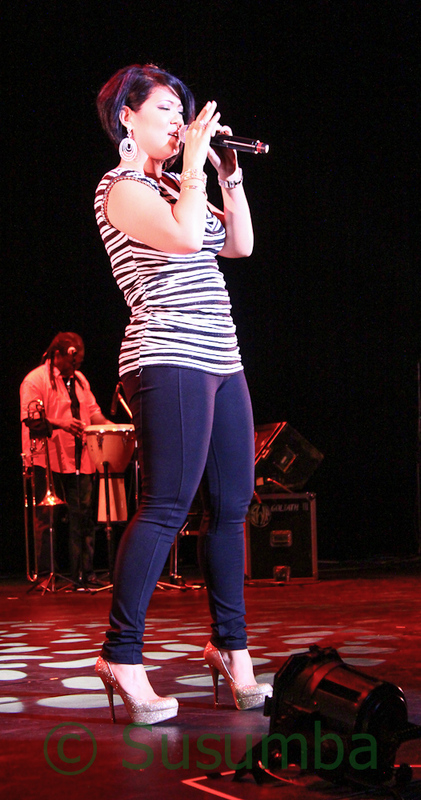 What are we doing about Brand Jamaica?” In the past three months Tessanne has provided the country with more positive and meaningful promotion that our national coffers could afford. So we raised her to our shoulders, lifting her up along with Usain Bolt, Shelly Ann Fraser Pryce. Jamaicans expressed their joy on the streets and online to campaign for her, and woe be unto any who dared to badmouth her, or even suggest that another of the contestants should take the title. Christina Aguilera was soon dubbed Queen of Badmind and when after the first night of the finals Jennifer Hudson declared she would be voting for Jacqui Lee, her Facebook Page felt their wrath. Of course, the fact that Jamaicans aught not have the right to vote did not stop them from trying to find ways to screechie through or jump over the rules, or at least make sure that every Jamaican in the Diaspora who ever wanted to taste rice and peas with coconut milk or sorrel or jerk chicken on home soil again, voted in their stead. But in truth, at the end of the day, given the restrictions, as much as Jamaicans (and other Caribbean nationals supported Tessanne) it was really America that declared her the winner. Yet, in those moments of Tessanne’s performance, what I felt wasn’t national pride. I wasn’t elated because a Jamaican was on a top-rated show on American television and making us all look good. I was happy because she had found a stage the size of which she deserved and had been trying to reach for well over a decade. Viewership of the premiere show stood at 14 Million people, almost twice the population of the entire English-Speaking Caribbean, not to mention Jamaica’s comparably minuscule population of 2.7 Million. Finally, I thought the world (and no I am not limiting the world to America) will get a chance to hear this woman who is able to deliver haunting melodies, pitch perfect notes, has amazing timing and the audacity to be a charming and endearing person without being remotely cloying. In truth, if I could muster the will to badmind her, I would. So, in the glow brought on by Tessanne’s success, despite how tempting it is, we should not ignore how we have fallen short in creating a spring board for Jamaica’s creative output and our creative economy. Since Tessanne’s first appearance on The Voice in September this year, there has been a heavy spate of unrequited love brewing. Not the one that DuttyBerry had us all giggling at – that of the Tess and the Tessless (cue soap opera music) but rather the Voice(d) and the Voiceless. 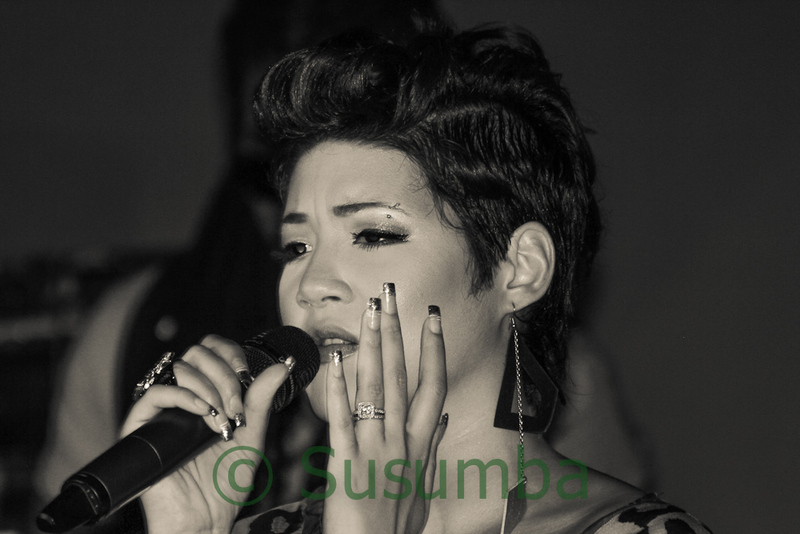 Tessanne’s journey to this mantle was not a 12 week one. As she revealed in interviews, she decided to take the opportunity because she had reached the point in her career where she felt she was growing stagnant. 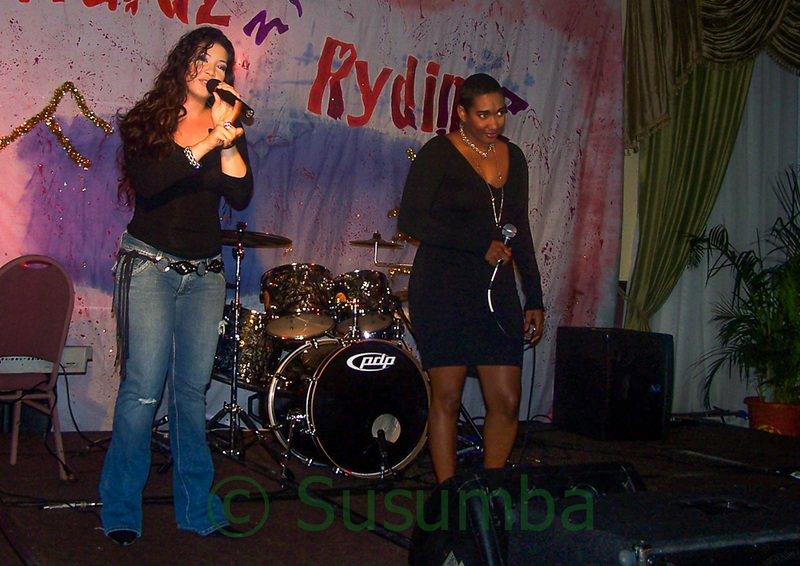 Between 2001 and the present, she had performed on several major stages in Jamaica, had launched an album put into the work to stage her own concerts. She was clearly willing to put in the grueling work it takes to rise in the music business. Nonetheless, by 2013 she felt it was a do or die moment for her. Without her decision to take this chance which has bourn such glittering fruit, we would have lost this voice. We Jamaicans love to pat ourselves on the back as we yell just how talented we are. Yes we are the land of wood, ganja and talented people. But how much are we doing for those talents? Talent is not enough, it is more than high time that the music industry seeks to remedy the areas in which it falls short, because although the powers that be may continue to ask, ‘What are we doing about Brand Jamaica?’ they have no answer. Even when they attempt to answer it, they seemed to have been confused by the question. 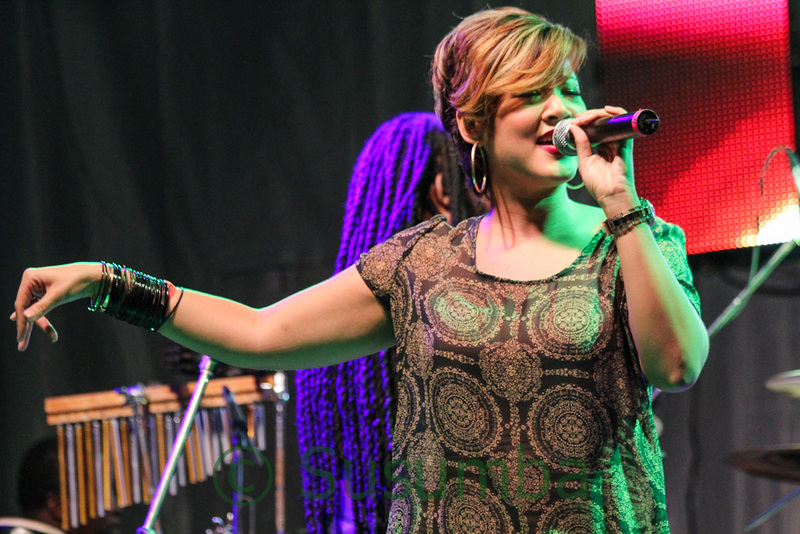 It is more than a little ironic, that earlier this year, when the government staged an Arts in the Park concert to showcase local talent R&D scouts and agents from the United States, Tessanne, one of the two females on the show, had been squeezed up among the “filler talents” almost seemingly added to the roster as an afterthought. As I said, in an article at the time, it was a “glaring indictment” on either the organizers of the show or the industry as a whole, that such a talent was not being properly showcased. But fortunately, the host of the same Arts in the Park event, Shaggy, advised her to try out for The Voice. There is no question that Tessanne is now finally on a path to greater things and will be able to do what her coach Adam Levine advised, and not ask ‘What’s next’ but to simply answer the question. But we too must answer ‘What’s next?’ How will we make this inspiring journey more than a passing opportunity to indulge in twitter frenzies and knock pot covers and blow zuzuvelas. How shall the others of us chart new courses to pursue our dreams, and sing new songs in this no longer (e)strange(d) land. Damian Marley, I’ve said it already, but I’m repeating, would really love to have a duet between you two. 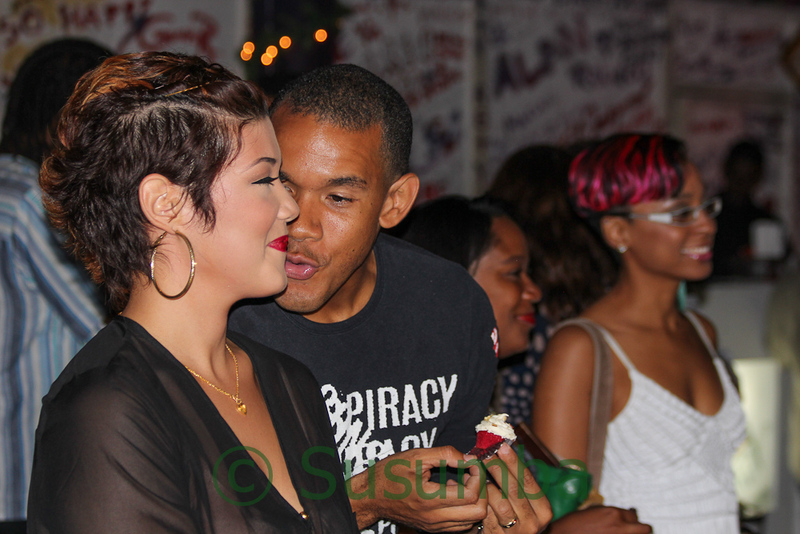 And yes, I have it on very good authority that Tessanne wants it too.